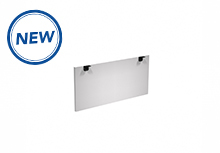 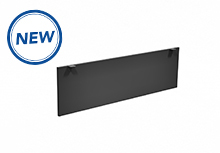 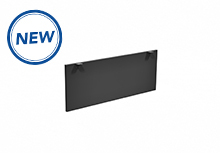 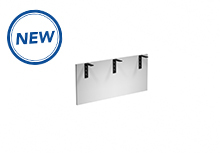 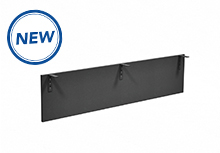 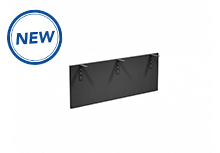 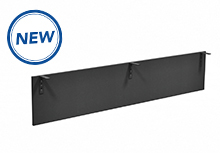 Hanging modesty panels are available in either Black (BL) or Grey (GR) laminate or in frosted plexiglass with a choice of Black (BL) or Silver (SL) brackets. 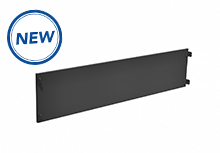 Ideal for height adjustable desks, our different table solutions or when just a bit of privacy is needed. 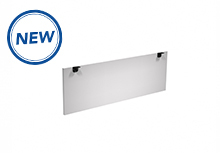 Frosted modesty panels are sized to be inset 2" on both sides. 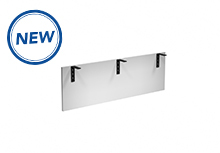 Laminate panels greater than 48" are inset 1" on both sides. 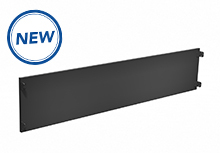 All other laminate sizes are full-width panels. 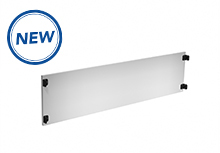 A half modesty panel is designed to replace the full-height modesty panel on an existing unit and the half modesty SKU must be ordered in addition to the original unit. 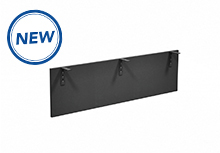 Half modesty panels are available in Black (BL) or Grey (GR) laminate.